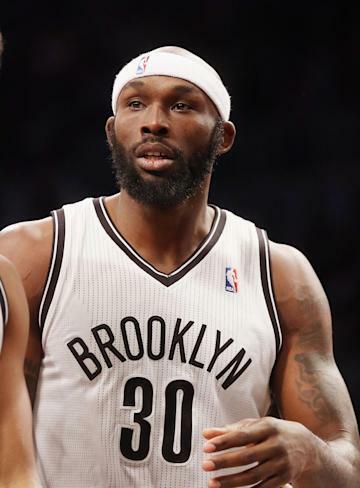 In his 11-year journeyman career, Brooklyn Nets forward Reggie Evans has finally made history: He is the first NBA player to be fined for flopping. Evans was fined $5,000 for his second flopping offense, a league source told Yahoo! Sports on Wednesday. Under the NBA's new policy, players get one warning for flopping before an escalation of fines for ensuing flops is instituted. The league office identified an instance of flopping on Evans in the Nets' loss to the Los Angeles Lakers on Tuesday night. In the demonstration video shown to players in the preseason, Evans was what one league executive called, "the star." A third violation of the flopping rule would cost Evans $10,000, a fourth $15,000 and a fifth $35,000. Beginning with a sixth violation, the NBA could suspend a player.